View cart “EF-30A-1 “LIGHTNING” WHITE & IR LONG RANGE STROBE LIGHT” has been added to your cart. Light Source: 4 White and 3 IR LEDs. 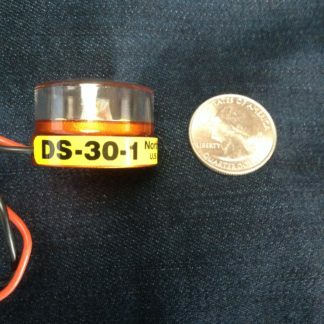 Weight: 4.2 Oz with batteries. Strobe flash rate: 60 per minute. Battery Life: 14 hours at full output. Case Material: Anodized aircraft aluminum. 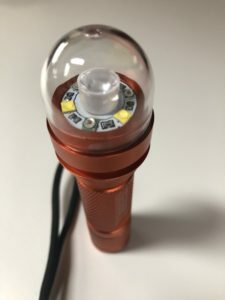 The EF-30A-1 Long Range Strobe is not only a full hemisphere projection strobe, it has a focused center directional reflector so one can aim the strobe like a flashlight and be seen from the air over 10 miles away at night. The EF-30A-1 is easily visible at a mile in daylight with this feature. You want the best chance of survival and the EF-30A-1 is one of the few long range personal strobe that is visible to both the naked eye and to Search and Rescue assets using IR night vision goggles. A most effective Visual Distress Signal for boaters, kayakers, and all outdoor enthusiast.